The scene opens on a battlefield. These are the last cries of King Richard at Bosworth before he was slain in Shakespeare’s play Richard III, Act 5, Scene 4. Martin makes no secret that he mixes old things to make new ones. The inspirations for his ASOIAF series range from history to mythology, from Tolkien to Stan Lee, and, in some of his interviews, he has mentioned Shakespeare. The passage above is a great example of how he uses Shakespearean material in much the same way he uses historical events and figures — vaguely familiar but generally unrecognizable. Othello (Laurence Fishburne) and Iago (Kenneth Branagh). Source: Wikimedia Commons, copyright Sony 1995. Iago is a mere ensign harboring a bigger ambition in Othello’s army. In the play’s opening scene, he tells the audience that, after having been passed over for a promotion to lieutenant, he has decided to destroy his boss, Othello, and his professional rival, Cassio, out of hatred. Through a series of intricate lies and tricks, Iago succeeds in getting Cassio kicked out of the army, making Othello suspect adultery between Cassio and his wife Desdemona, and nudging Othello into murdering Desdemona. Once Othello discovers the truth, he commits suicide. Widely regarded as one of the most evil villains in literature, Iago’s power comes not from his social position or brute force, but purely from his meticulous scheming and his ability to bring out the worst in people. He plants seeds of suspicion and resentment, and lets them foment into the victims’ self destruction. He is a predator of the mind. Few writers have attempted to recreate a villain as clever and terrifying as Iago. Agatha Christie made a valiant effort in the novel “Curtain,” Hercule Poirot’s final case. In this case, the Iago-inspired murderer is a rather meek, almost faceless, middle-aged man Norton. Christie rightly notes that the brilliance of Iago’s evil is his lack of any overt action. Norton kills no one with his own hands, while Iago kills only two “weaker” characters: his wife Emilia and an already-wounded accomplice Rodrigo. Hercule Poirot and Stephen Norton are portrayed by David Suchet and Aidan McArdle, respectively. Image: Copyright PBS and Acorn Media. I have not seen any literary character who comes as close to Iago as Petyr Baelish, a minor lord from a dreadful patch of barren land. After a humiliating childhood and adolescence as a ward of the Tully family, he pulled himself up to the position of Master of Coin at the court by manipulating Jon Arryn, the Hand under King Robert Baratheon, through his puppet Lysa Arryn (nee Tully). He is at least partially responsible for engineering the wars that have  engulfed the Seven Kingdoms. All the while he has never dirtied his well-manicured hands with blood, much like Iago. No, their deadliest weapon is whispers into others’ ears. It would be extremely difficult to convict them of murder in the modern court of law. Littlefinger (Aiden Gillen) has always been able to easily manipulate the besotted Lysa Arryn (Kate Dickie). © HBO. The humiliating show at Joffrey’s wedding. © HBO. The exchanges between Ned Stark and Littlefinger in A Game of Thrones mirror those between Othello and Iago. Ned and Othello are simply too straightforward and nearsighted, like most of us, to suspect the vast and baroque maze in the heads of men like Littlefinger and Iago. Ned did not entirely trust Littlefinger, but was won over by his “honesty,” when the latter told Ned not to trust him. Reverse psychology has never played so beautifully. Both Iago and Littlefinger are experts at devising complex plans that involve multiple players and maximizing situational advantages to achieve their goals. For example, to destroy the Moor, Iago first gets Cassio drunk, which leads to a drunken brawl, and Cassio subsequently injures a local Cypriot nobleman. With political tensions already high in Cyprus, Othello has no choice but fire Cassio so as not to endanger his army. Subsequently, Cassio goes to Desdemona and begs her to convince Othello for his reinstatement — at Iago’s “helpful” suggestion. Desdemona’s pleas only confirm Othello’s suspicion, which is also planted by Iago. The chain of events is so circumspect and convoluted that none of these characters can be expected to connect the dots, and neither would we if Iago hadn’t explained his every move to the audience with monologues and asides. We should remember that George R.R. Martin himself was once a fairly accomplished chess player and chess tournament director. He is almost as good as Shakespeare in devising many steps ahead in a game, so far ahead that no one else realizes the pattern and purpose of these moves. The death of Jon Arryn sets off a series of chain reactions that eventually leads to the War of Five Kings. © HBO. We don’t have the benefit of entering the evil imaginations of Littlefinger, but we have had a few glimpses from his rare moments of semi-confessions. It is not until almost the end of A Storm of Sword that some of his maneuvers are revealed. He masterminded Jon Arryn’s murder before the start of the series, which directly led to Ned’s obligation to go to King’s Land and serve as the Hand. Ned’s investigation of Jon Arryn’s murder inevitably ended on Cersei and Jaime’s secret, which resulted in his open confrontation with Cersei. The rest we all know. Moreover, it has been speculated by some fans, but not yet confirmed in the novels, that Joffrey was not the real culprit for Ned’s beheading. Instead, Littlefinger may have planted the idea in Joffrey’s head with a few words. An important element in this game, as Christie and Martin both seem to understand, is the lack of apparent motives. Shakespeare stumbles slightly here: Iago claims that he just wants proper recognition for his hard work, and then adds, not very convincingly, that perhaps Othello seduced his wife Emilia in the past. The problem is that he has no practical gain once Cassio is fired, yet he carries on with his plan toward the ruination of Desdemona and, subsequently, Othello. The motive problem has led to some modern speculation that Iago is in love with Othello and jealous of Desdemona, despite his frequent protestations “I hate the Moor.” The source Italian story on which Shakespeare based his play suggests that Iago is in love with Desdemona and wants to emotionally destroy Othello out of jealousy. On the other hand, Christie furnishes no motive at all for Norton in “Curtain” except for the thrill of watching people suffer. Iago plants suspicion in Othello’s mind that his wife is cheating with Cassio. Image: Illustrator: H. C. Selous in The Plays of William Shakespeare. c. 1830. Littlefinger similarly tells Sansa that his protection from suspicion is not only his alibi at the time of Joffrey’s murder but also that “I had no motive.” (Game of Thrones, episode 406) I don’t believe him. I am not entirely convinced by the “chaos is a ladder” declaration, which argues that he is creating chaos just to elevate his status at court and garner more (yet unrealized) power. It is too general and too vague. There are many ways to climb the ladder, including firmly supporting the ruling party (the Lannisters) and becoming indispensible, like Varys has done. Every character in ASOIAF has their specific and very human motives. Littlefinger should be no exception. Littlefinger’s riveting speech to Varys about the power of chaos. © HBO. Out of necessity, Martin cannot write any viewpoint chapters for characters such as Littlefinger and Varys, but one can make deductions from the few revelations available. For example, why did Littlefinger murder Jon Arryn to push the kingdom into chaos? 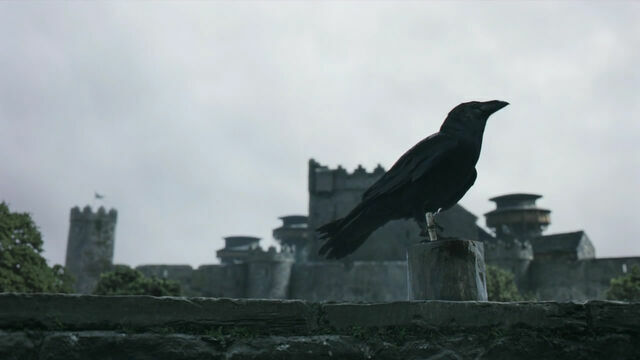 The direct result of the murder is bringing Ned Stark to King’s Landing, where Littlefinger can more easily get access to his wife and eliminate him. Why does he want to eliminate Ned? The TV series provides an even clearer answer than the novels: He wants Cat. Only Cat. Getting rid of her husband would have been a natural first step. Besides, Littlefinger has no love for the Starks, as the scar left by Brandon Stark on him must be reminding him every day. Unfortunately, not everything goes as planned, and Littlefinger has limited influence on Lord Tywin’s strategies (note that neither Tywin nor the Freys initially planned to kill Catelyn). So he can’t have Cat after all. As for engineering Joffrey’s death, he might not be lying when he suggests to Sansa that it is a kind of revenge for the Red Wedding. We only need to look at the outcome of the Purple Wedding to understand Littlefinger’s motive: he now has Sansa. The girl looks so much like her mother, only more beautiful and, even better, allows him to play Pygmalion. Her access to power over the entire North is just icing on the cake. And why does he frame Tyrion? Because he is Sansa’s husband. He has to go as well. Littlefinger’s motive may well be his brand of love. Similarly, it is possible that Iago’s motive is less about power and more about the ruination of his romantic rival, which might be either Othello or Desdemona. Coincidence? Sansa (Sophie Turner) and Littlefinger (Aidan Gillen) at the Vale. © HBO. It’s impossible to predict what is going to happen to the evil genius Petyr Baelish in the final novels. Will he meet the same comeuppance as Iago in the play? Curiously, Iago’s crimes are revealed and he is arrested in the end, but he does not die on stage, unlike most villains in Shakespearean tragedies. It is unlikely that Littlefinger should win the entire game of thrones, but he could nevertheless remain standing in the end. This is a very interesting and well thought out article! Despite having been forced to read Othello at school and of course being an avid GOT fan, I hadn’t made the link! Certainly very thought provoking and I personally think that you’re onto a winner here! Is Jun who wrote the above article, Jun who writes comments here sometimes? Sorry Jun, I’ve been  thinking you were a lad all these months! I hadn’t thought of Iago being an inspiration for Littlefinger  though now I’ve read the article it’s certainly plausible. There have  been a few articles here lately  that have mentioned potential sources for ASOIAF which were new to me. It’s Emilia, Iago’s wife who “outs” him in the play if I remember correctly. As you rightly say, Shakespeare didn’t invent the story of “Othello” though he did refine it (in the source Desdemona is bludgeoned  to death  going  from memory). You probably know the bit of trivia that when D&D were looking for a suitable actress to play Catelyn (the original dropped out for some reason) they saw Michelle Fairley playing Emilia in “Othello” and invited her to audition and the rest as they say is history. that  Littlefinger might be a survivor  of House Reyne but  that would explain why  he  had  it  in  for  the Lannisters  but  not  why he betrayed Ned  so I’m  not sure about that. Yes, Watcher, it is I. 🙂 Jamie was kind enough to invite me to write about the Shakespeare connection. Hope you enjoy it. Oh! That story of the casting of Catelyn is fascinating. I always wonder how much symbolism, foreshadowing, and allusion GRRM explains to the showrunners. But, the more tidbits I notice, the more I think GRRM must have spent an extensive amount of time briefing them. BTW, Jennifer Ehle (of Pride & Prejudice) was originally cast as Catelyn, but then they recast the character after the non-released pilot I think. I’m not sure why. Jun was kind enough to say yes! I’m thrilled that she agreed to write this post. I haven’t thought about Shakespeare very much since university and her theories are fascinating. I’m particularly intrigued by this idea of the ultimate villain. A villain who attacks through the power of suggestion is incredibly dangerous. Jun, admittedly I don’t remember the character that clearly, but what do you think of Mr. Ripley (Matt Damon) in The Talented Mr. Ripley? Do you think he has Iago-esque tendencies or not really? Also, who do people think is more dangerous Varys or Littlefinger? Re: Casting Catelyn. Interesting tidbit that Michelle Fairley played Emilia on stage. The question is why where they all watching Othello the play at that time … 🙂 I read on wiki that Jennifer Ehle (who would have made a great Catelyn too) decided not to commit to a multi-year long-term project like GoT because she has small children at home. But she remains an avid GoT fan. Re: Talented Mr. Ripley. I read the novel years ago. To me Tom Ripley is a bit different the the criminal approach in that he has no scruple about killing someone with his own hands. OTOH, I can see the similarity with Littlefinger in his ambition and resentment toward the born rich/aristocrats. They both want to be one of “them” and hate them. Re: Varys. Although we have some clues for Petyr Baelish’s motives, be it ambition or love, I got nothing on Varys. This is one reason that some Chinese emperors came to trust and even rely on eunuchs for political decisions. Eunuchs cannot father children and therefore are sometimes perceived as having less incentive to acquire wealth and power for themselves and more likely to be loyal to their masters’ interests. The emperors are often wrong, of course. Re: Shakespeare. Luckily, I did not grow up in the American or British educational system and was never forced to read Shakespeare in junior high or high school. There is no better way to turn people away from some of the best work in history by force-feeding them in an age when they cannot understand it. Shakespeare is best read in the middle age after one has acquired some insight into the way of humanity and the world. Setting aside possible twisted revenge for Catelyn, Petyr does gain by Joffrey’s death. The seven kingdoms suffering all this instability greatly increases the power of the Vale, where he would also gain as a major political figure. And honestly, one of Petyr’s strengths is that he doesn’t try to plan every possible move or have a perfect plan, but rather to simply keep himself in position so that he can benefit from demanding more and more for his services that his employers, being desperate, will have to agree to. His only real misstep was that when the war started he was forced to remain ‘loyal’ to the weakest side, which would have happened no matter what happened to Eddard. Stannis despised him and it probably wouldn’t take long for Renly to investigate him, especially to reward his Tyrell backers. Grant, this is a really shrewd analysis: “one of Petyr’s strengths is that he doesn’t try to plan every possible move or have a perfect plan, but rather to simply keep himself in position so that he can benefit from demanding more and more for his services that his employers, being desperate, will have to agree to.” You’re basically saying, if I follow, that it isn’t so much planning as positioning. Forget strategy and plotting moves and counter moves and simply ensure proximity and dependency and let nature take its course. E.g., be the person that can always get Robert or the Lannisters their money (while covertly enriching yourself). Always be around and dependable. Brilliant – I think that’s also a major distinction from Varys. But Littlefinger does plan ahead. He plans very far out and might be one of the most far-sighted characters in the novels. He just doesn’t rely on events and people going exactly as he has planned. He has a lot of contingency built into his plans, because, unlike Cersei, he understands that even the smallest pawn has its own ideas. He understands that people cannot be controlled but can be mani …uh… influenced. A concrete and confirmed example of his long-range planning and execution is the elegant and flexible steps through which he splits the initially-united alliance of Vale lords under House Arryn and wins over Lyn Corbray and a couple of others under the table to dissolve the entire threat to him. It is an extremely perilous situation. (No lord needed to maintain loyalty to a sickly boy in a war.) His complex political maneuvering is done almost entirely ahead of time and behind the scenes. He demonstrates precise insights into the psychology of each family and each member of each family among these lords who hold him in contempt and plays them beautifully like strings of a harp. These Sansa chapters in AFFC are some of the most riveting drama in the series, while not a drop of blood is shed. Sadly, the TV series completely chucked this story line and made TV Littlefinger look like Hodor next to the book Littlefinger. I would (figuratively) give my left hand to discover what historical events served as the basis for this part. The didactic dialogues between Sansa and Littlefinger are often regarded as boring by readers. To me, this is the best political lessons since Machiavelli and should be studied closely if one wants to understand the sophistication of GRRM’s plotting. It is impossible — and I am sure GRRM is smart enough to know this better than I do — to success in the game of thrones without a goal. If a person’s goal is simply to create more and more and more chaos and then see what he can dredge out of the mess, he is a fool and will get crushed very quickly. The heart of the matter is not chaos, but rather giving potentially flammable situations the lightest push, so that they explode in a direction that will more likely to benefit oneself than one’s enemy. Any successful politician or leader must have a goal in mind, even if it cannot be discussed openly with your pawns, allies, or your most loyal friends. There  was a documentary programme about Machiavelli’s “The Prince” on the BBC earlier this year. GRRM was interviewed and mentioned that Littlefinger was a character who had changed much from the page to the screen. Why would they interview GRRM for a documentary about “The Prince”?! Hahahaha. I  think how well one reacts to Shakespeare at school depends to the calibre of the teacher. Also my parents had an interest. I can remember in a long ago very inclement May my Dad said “Rough winds do shake  the darling buds of  May” from the Shakespeare sonnet. A teacher at school once said that if pupils were not exposed to some writers and playwrights then they might  never read them. Studying a couple of Joseph Conrad novels at school cured me of reading his works for life though. I’m still holding out hope that Littlefinger won’t be revealed to be evil. Ever since the end of Storm of Swords he’s been my favorite character. Maybe Martin will subvert the expectations that come along with the Iago parallels and Littlefinger ends up being the enlightened Prime Minister of a Westerosi constitutional monarchy. He’s your favorite character? Really? Why? I’m assuming you don’t like the “badies” (like I do) otherwise you wouldn’t be hoping he would change. I guess the short answer to those questions is that I identify with his life story and the way he finds a way to be successful in that society despite having very few of the character traits the dominant Westerosi culture values. I’m just worried that I’m going to end up having to deal with the knowledge that I intensely identify with a guy who turns out to be a major league creeper and who has no redeeming Severus Snape-like qualities. I don’t think you need to worry about it, Ben. It’s one of GRRM’s tricks that he is able to make readers identify with all of his characters. For example, I felt great sympathy for Chett, the hair-lipped loser who hates Jon Snow and the entire Night’s Watch when I read the prologue of A Storm of Sword. Even Biter has a sob story in his background. Petyr Baelish must be carrying with him a great hatred for this society which provides no upward mobility. Who can’t sympathize with that? I am also reminded of Edmund in King Lear. He is an Iago-like villain but I also sympathize with his rage against society. And Shylock in Merchant of Venice. Shakespeare and GRRM are both experts in giving their antagonists plenty of convincing reasons to hate the rest of humanity. Sorry about the typo. Harelipped, not hair-lipped, ie, cleft palate. I really enjoyed your article and the character parallels you suggested. I never would have thought of Othello = Ned Stark, but they absolutely do have an all too trusting nature and short-sightedness in common. The character parallels are obvious, of course, but I couldn’t find any article/interview in which he said this explicitly. I run a twitter account called @ShakespeareofThrones so naturally have deep interest in such matters. PLEASE NOTE: Your privacy is extremely important to us and we will not share your details with anyone. Safe unsubscribe at any time.